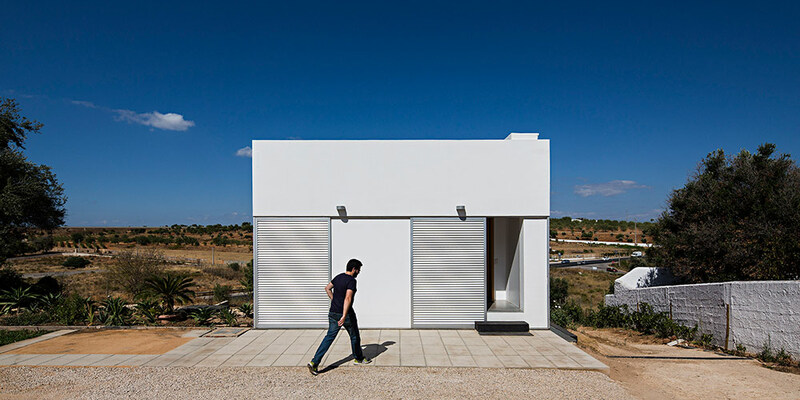 The EN125A22 house addresses the relationship between the architectural object and four types of mobility. 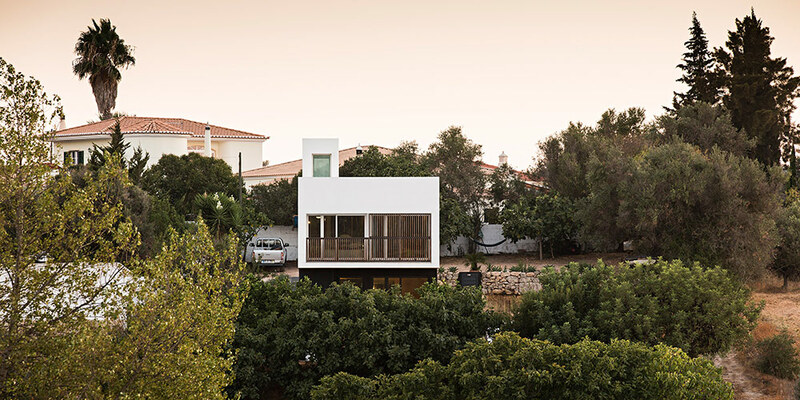 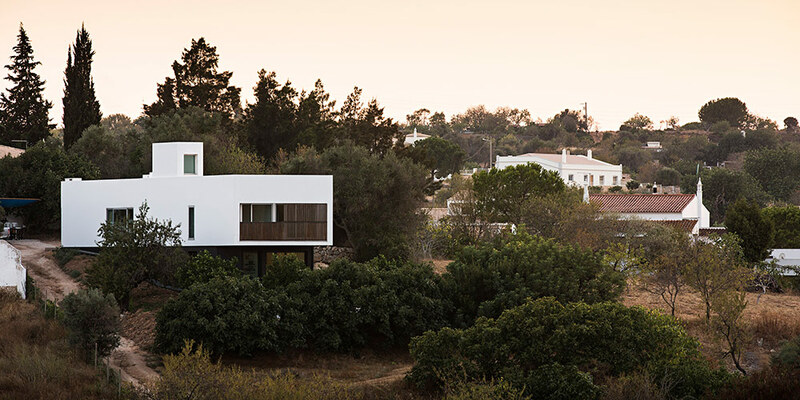 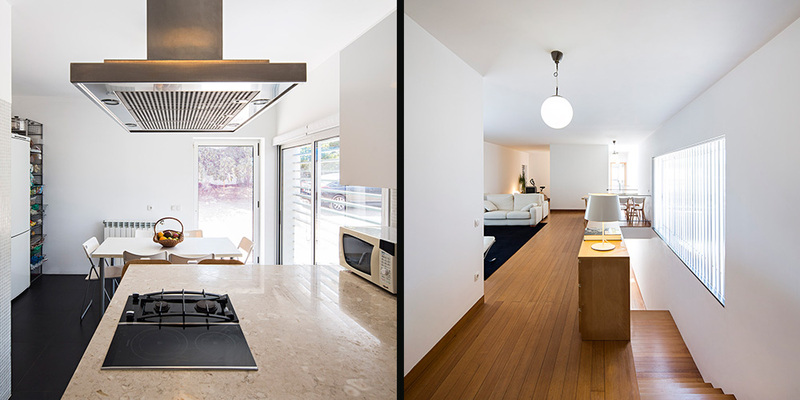 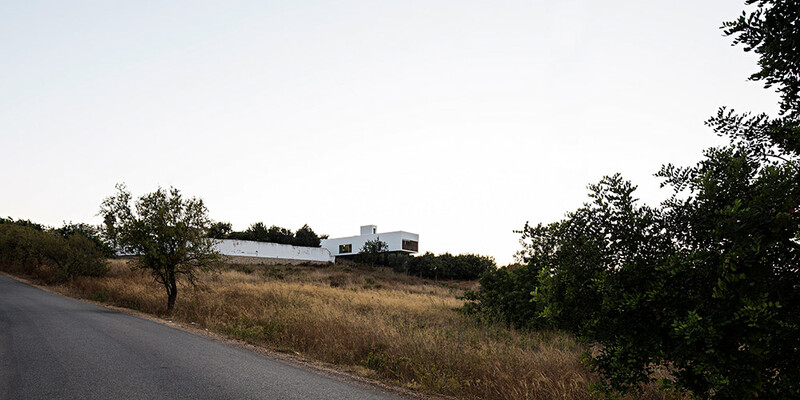 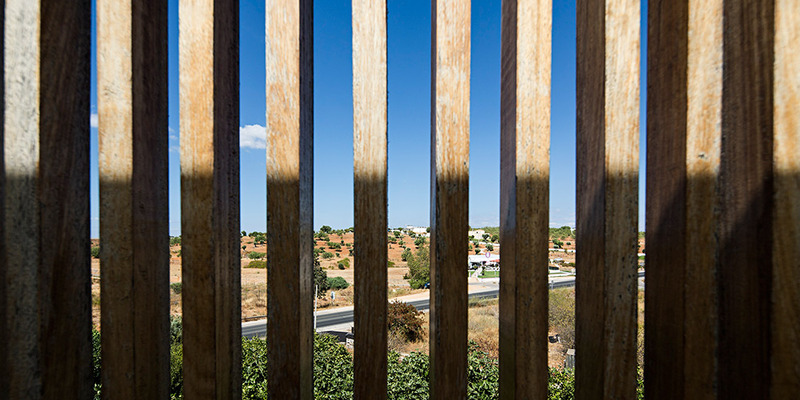 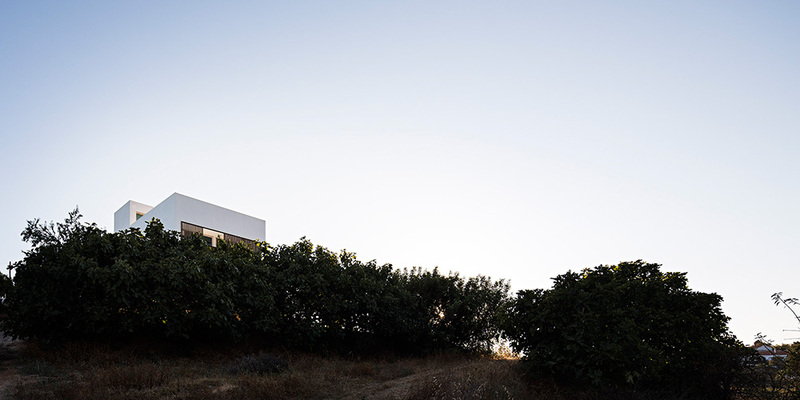 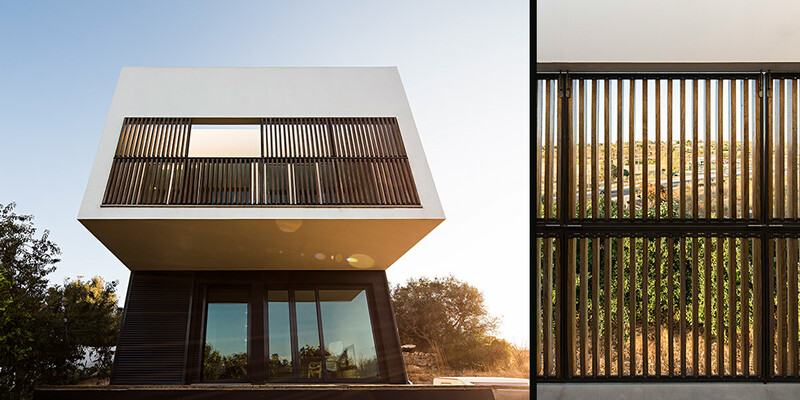 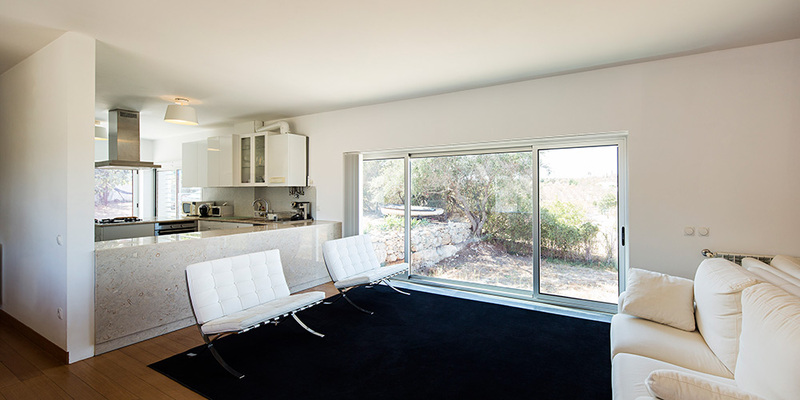 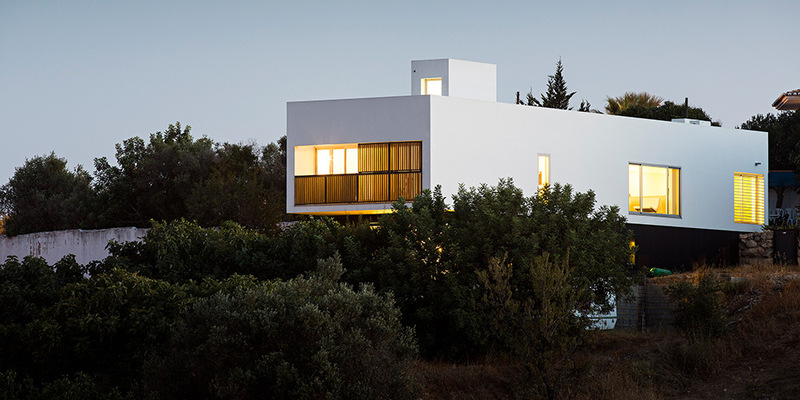 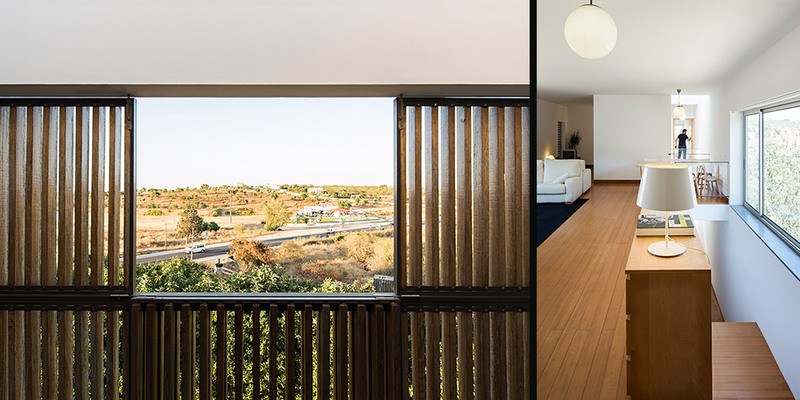 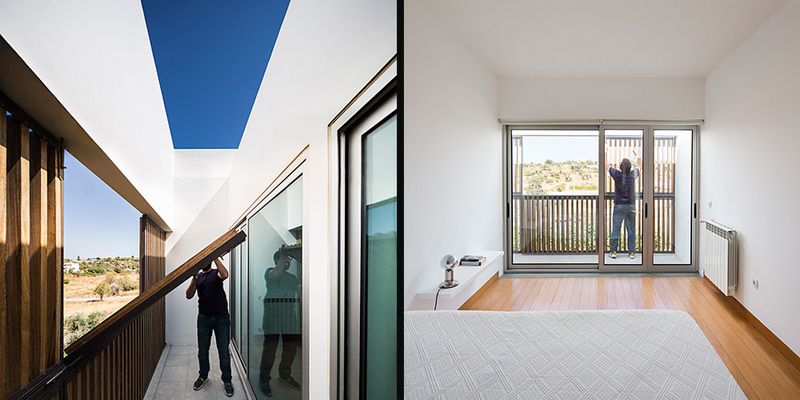 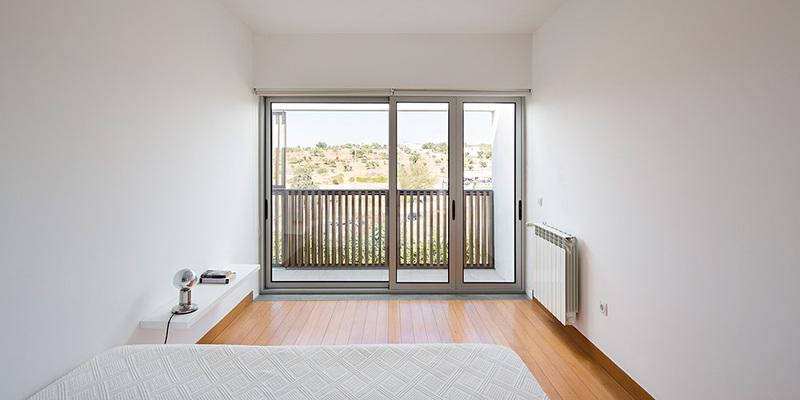 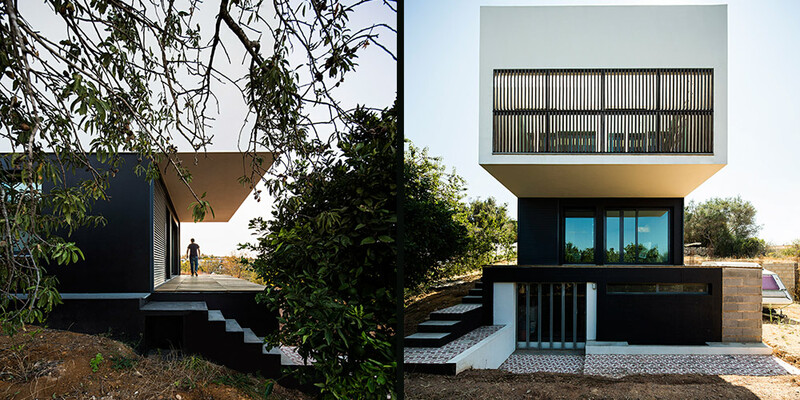 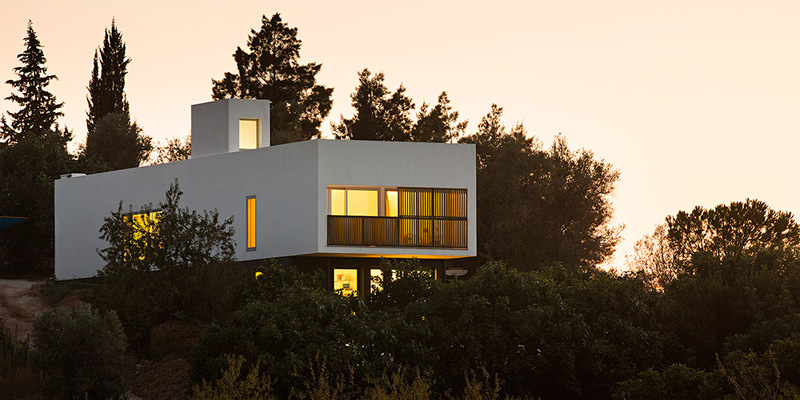 Located above the intersection of the main roads of the Algarve, the house operates as a mechanism able to recognize, use and represent different types of mobility: infrastructure of mobility, individual movement, movement of the family and community. 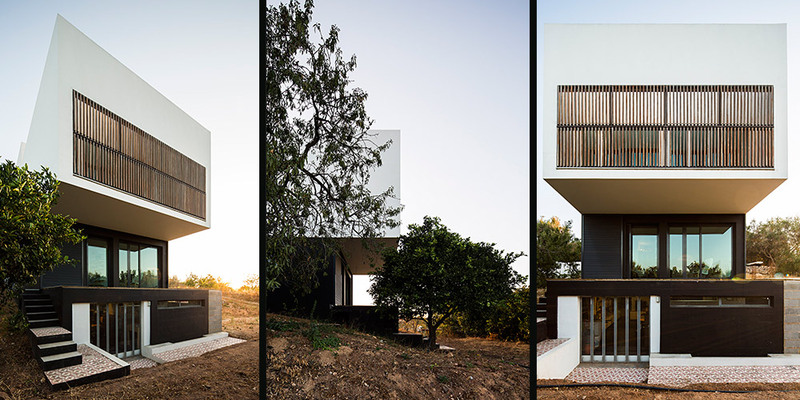 The private house program is placed below on the topography acting within the former ground support walls as a non-build object. 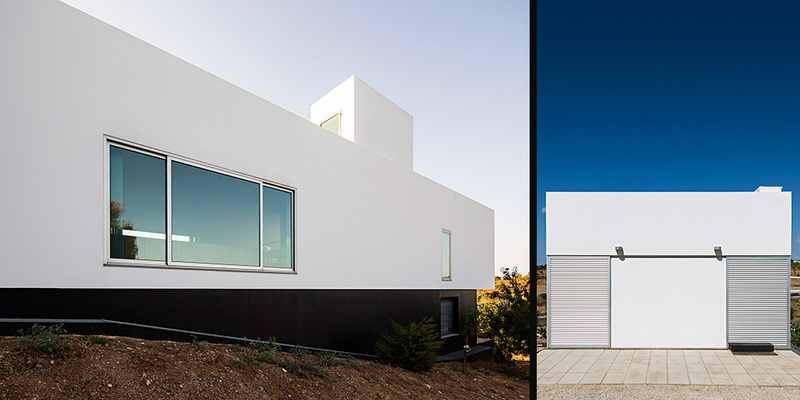 Painted in black is a non-shading surface. 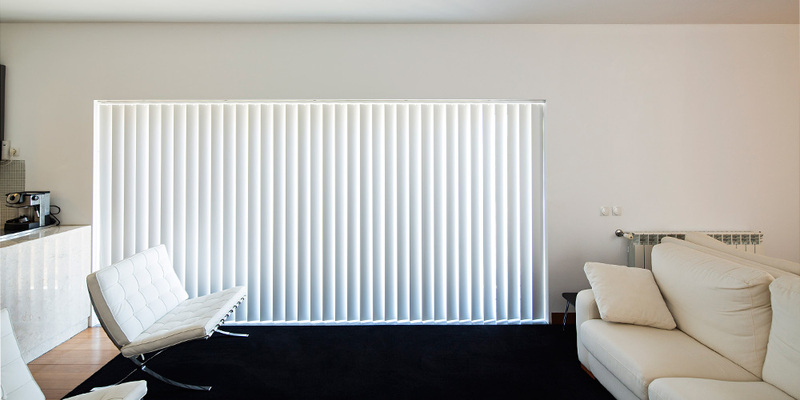 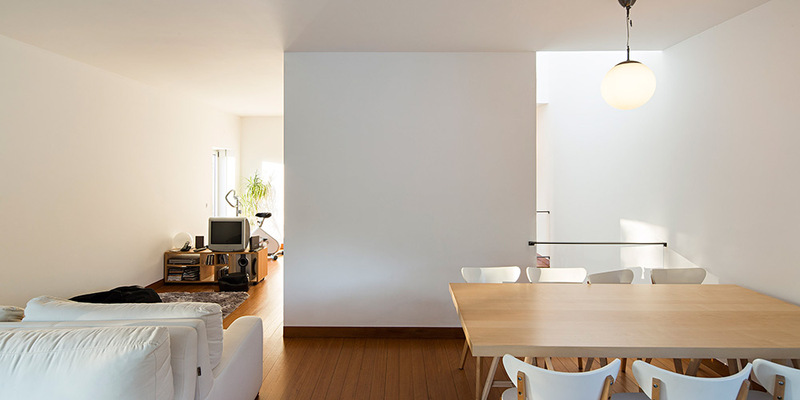 However, the public and exposed program rest above it, detached from the ground as a straight white volume. 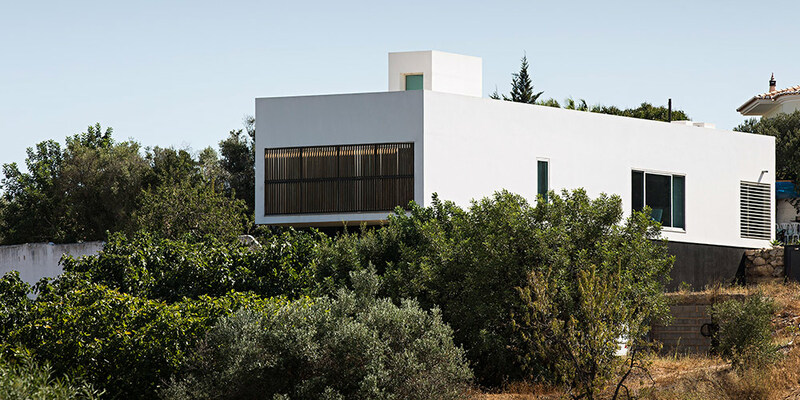 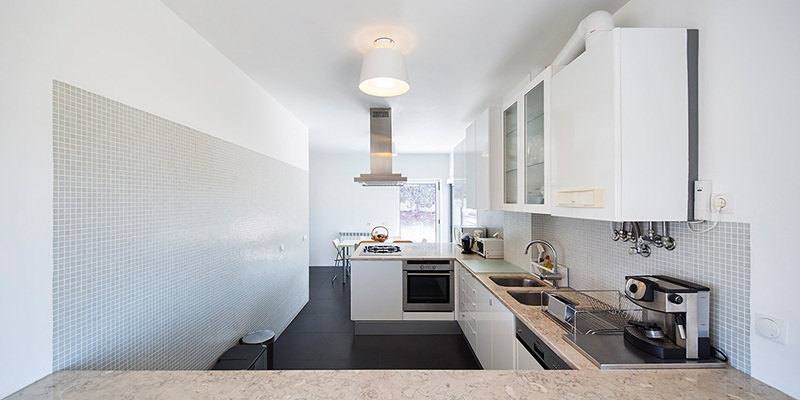 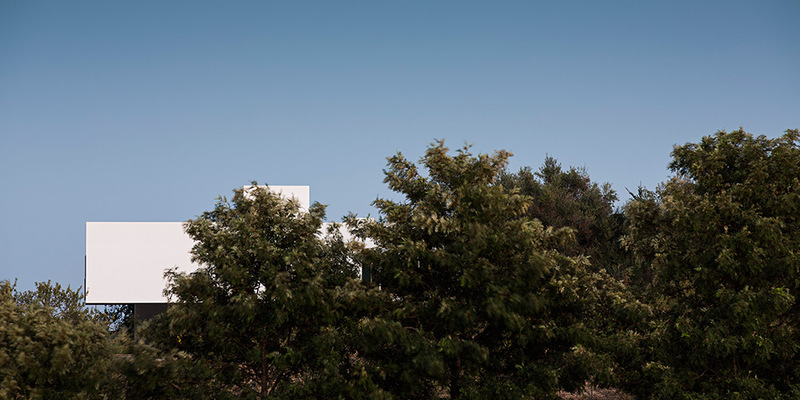 The white volume, containing the public indoor and outdoor (rooftop), remains untouchable from the outside and opened from the inside toward the valley and highway. 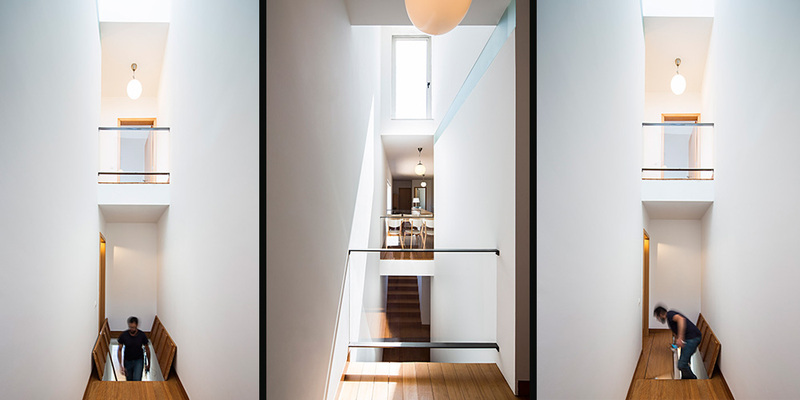 Finally, a transversal stair on the side creates a unique interior quality connecting all the floor of the house. 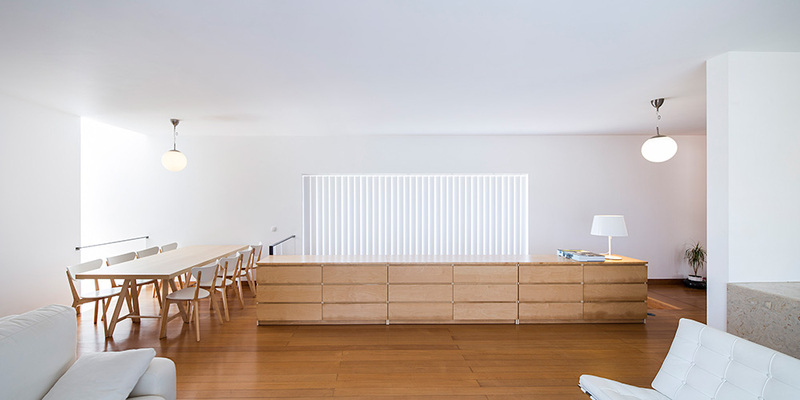 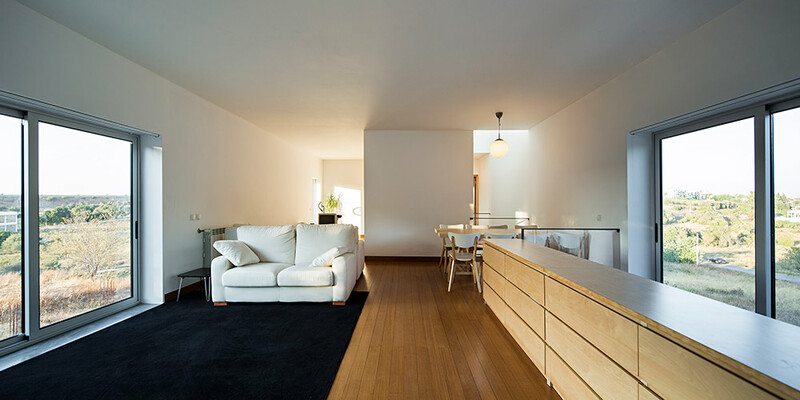 The interior of the house is based in three different mutations: hidden in the cellar and basement; open inside the white volume; and ephemeral on the rooftop. 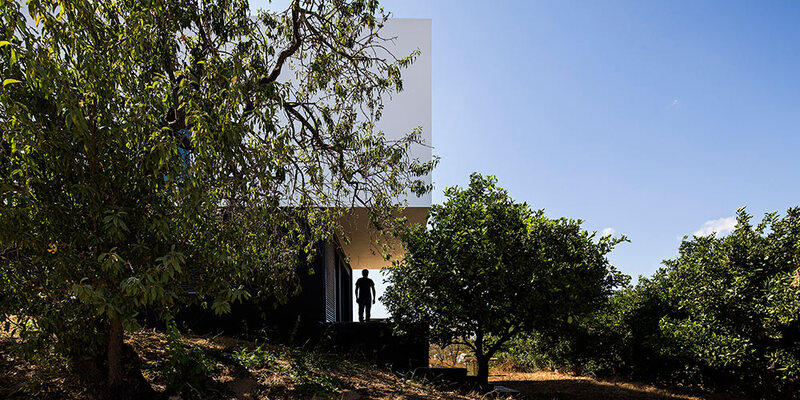 Immersed in the geographic transition of a valley, the house experiences a multiple scope of views among the landscape.